Discover how to simplify your large React applications with advanced component patterns! In this course, Kent C. Dodds shows how to separate component logic, state and display properties to make your components more flexible and usable across large React applications. You'll learn patterns like Compound Components, Render Props, Prop Getters, Controlled Props, and how to take advantage of React’s new Context API to share state throughout the application. This course is for developers who have experience building React applications and desire to scale their applications with components that are both simpler and more flexible! In this exercise, students create a toggle component. Kent answers a question from a student about tests running in code sandbox. Kent shows how to use setState and updater functions to change the state and change handlers to notify consumers. Kent answers questions from students. Kent shows a compound component and how to pass properties to children components. Also, Kent sets up for the exercise to create a custom compound component. Kent walks through the solution for being able to map over the children elements while passing props to the cloned child element. Kent then creates compound components as static properties on the parent component. He answers questions from students. Showing the limitations of the basic compound components when needing additional nesting, Kent shows that the workaround is through leveraging context to share implicit state. Using the context API, Kent shows how to make the compound component more flexible with a shared implicit state by using flexible compound components when you have several components. These compound components need to share state, but the user does not need to know about it. Kent takes questions from students. Kent answers questions from students about nested context providers. Kent demonstrates that render props serve as components that can control their state logic but allow total flexibility of the UI. The render prop component pattern separates the state component from the display component. Kent separates the component into a render property component and a view component that accepts renderable properties. Kent iterates through the steps to create the separation. Kent demonstrates that prop collections are a convenience for frequent use cases of render prop functions. Kent discusses prop getters, which help fix overwriting properties that are intended to be overwritten by composing the properties that should be applied. Kent walks through the solution by coding the prop getters to wrap the properties and avoid overwriting properties in the component. Afterwards, Kent answers questions from students. Kent discusses how the state initializer pattern allows you to initialize the state and give the component the ability to reset the state. Kent walks through the solution to State Initializer Pattern Exercise by coding the state initializer pattern to allow the component to initialize and reset the state. The state reducer allows people to control how the state is managed. State reducer hooks into every setState call to modify how the state is updated in the component. Kent codes the solution to separate state from modifying state behavior in the component. Sometimes users need to know what's causing state changes to know whether they need to alter the state changes. Providing a type can help facilitate that. Kent walks through the State Reducers with Change Types Exercise by coding the component to handle state change using change types. Control props allows you to pass a property that the component should use for its state. Kent walks through the solution to the Control Props Primer Exercise to pass control properties to the component. Kent walks through the solution to the Control Props Exercise by changing the generic control props solution to work with more complex components that integrates with state reducer. Kent answers questions from students. Kent introduces the prop drilling problem and how the provider pattern is used to mitigate it. 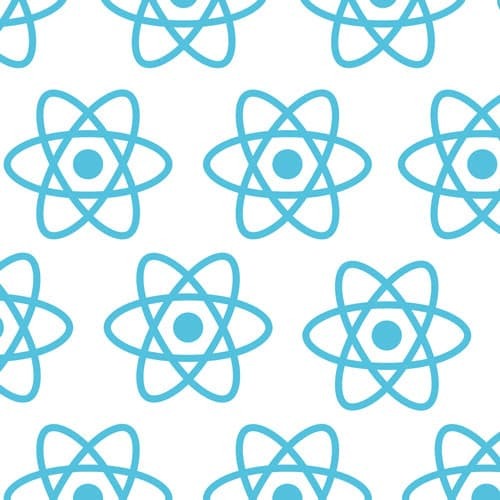 Kent walks through the Provider Pattern Exercise by using the React createContext API to make state and helpers available anywhere in the React tree. Kent explains that higher order components are used to create a component based with certain properties to simplify creating. Kent walks through the solution to Higher Order Components Exercise. Kent practices implementing patterns with Rendux, which is redux as a render prop. After walking through the solution to the Rendux Exercise, Kent wraps the Advanced React Patterns course by thanking the students.